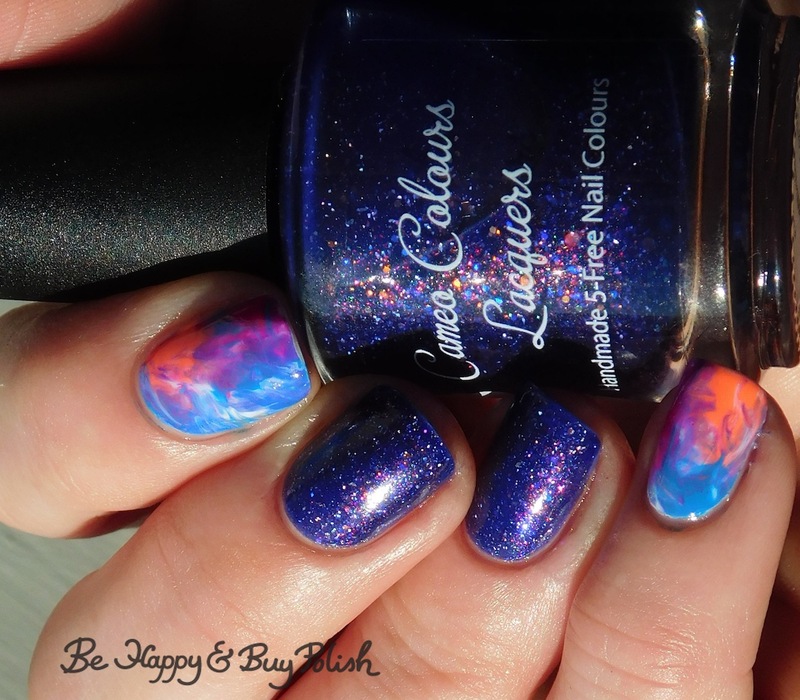 Cameo Colours Lacquers Shuttity Up Up Up! [November 2017 Polish Pickup Pack], 3 coats plus top coat. I was worried with how packed this is that I would need a lot of top coat, but I didn’t! Everything laid down flat and formula was really nice. 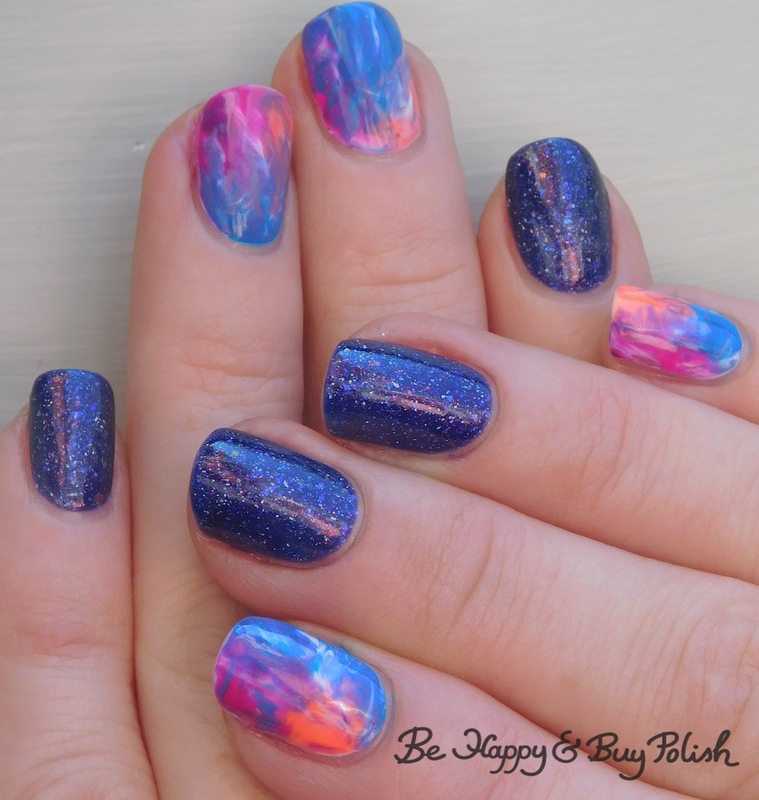 This is my current mani, although I think I’m taking it off later today. 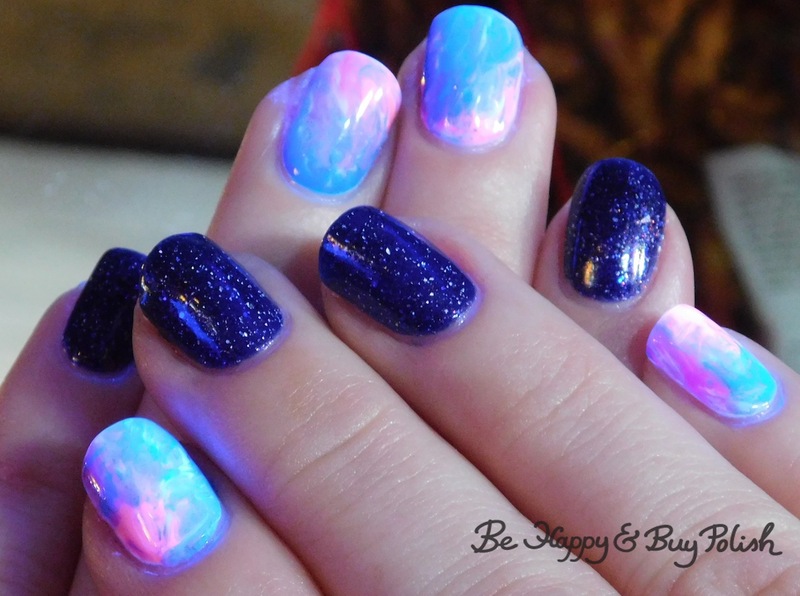 The blacklight/neon nails are wearing at the tips really fast, which is annoying. For whatever reason, whenever I have nail art like that, it wears off too fast. But I keep doing it because it’s pretty. haha! Anyway, I saw this tutorial from Perfect 10 Custom Nails on youtube and wanted to try it out. Problem? I don’t have gel nail polish. 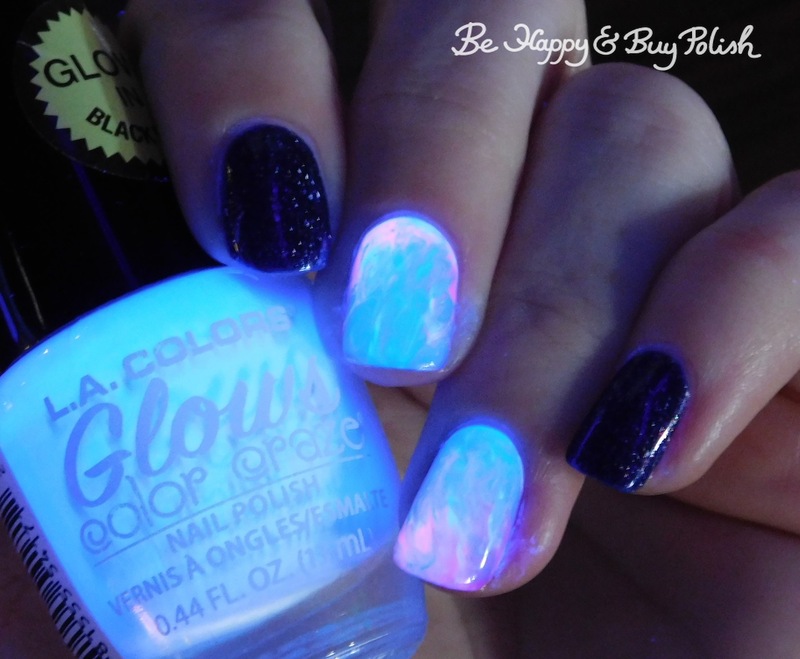 I asked in the Hobby Polish Bloggers group and they suggested I try it with rubbing alcohol and my regular polish. The colors didn’t blend as well as I would have liked and the blue polish was a little overpowering but I think it still came out fairly fantastic!